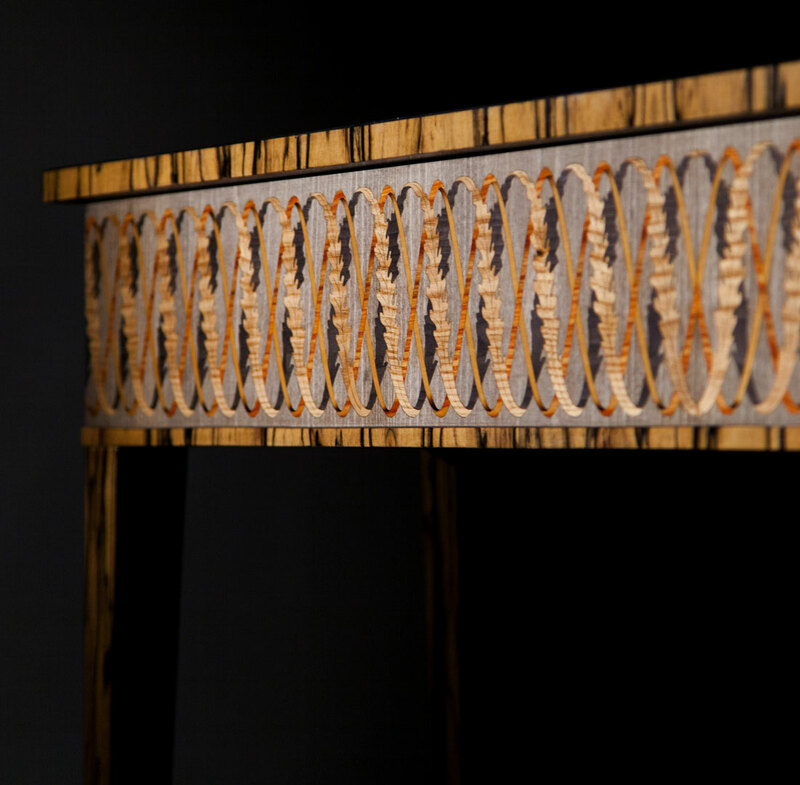 The frieze helix inlaid with Ash, Tulip and Boxwood is raised on White Ebony legs to create a truly striking impression. 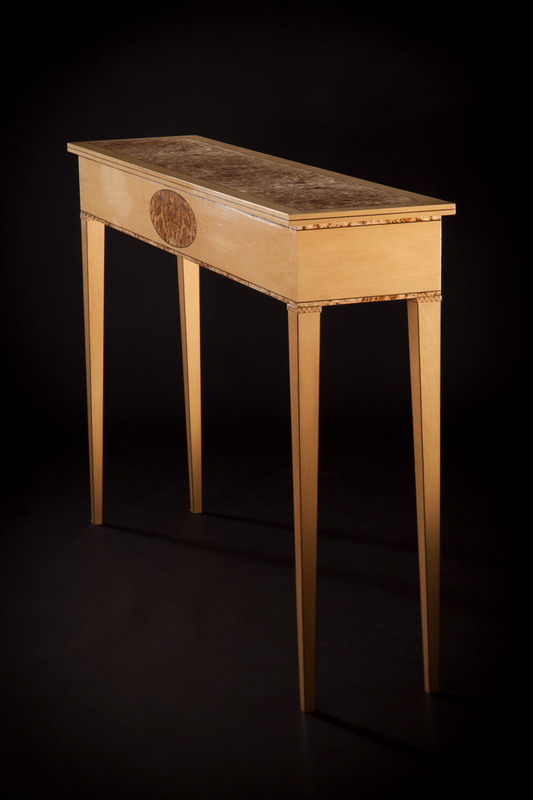 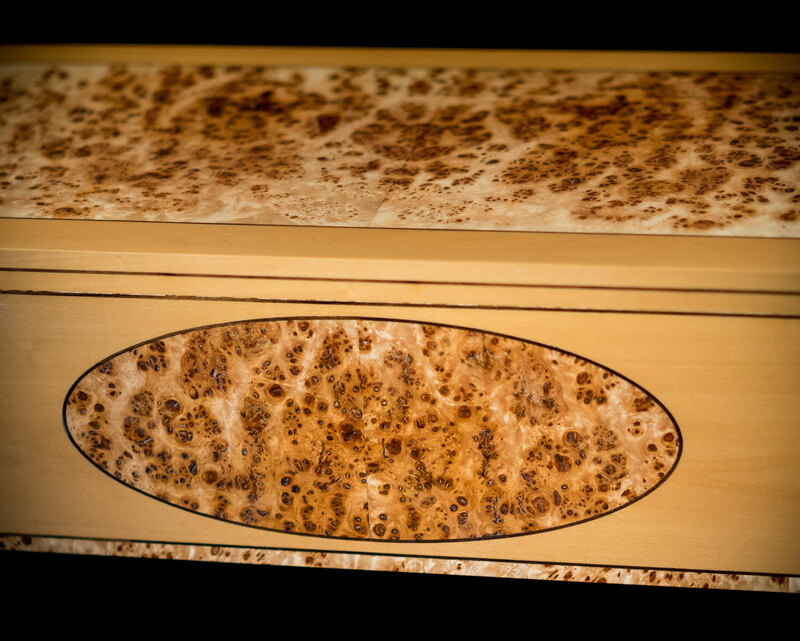 Poplar Burr encased in Boxwood and raised on matching legs creates a subtle elegance. 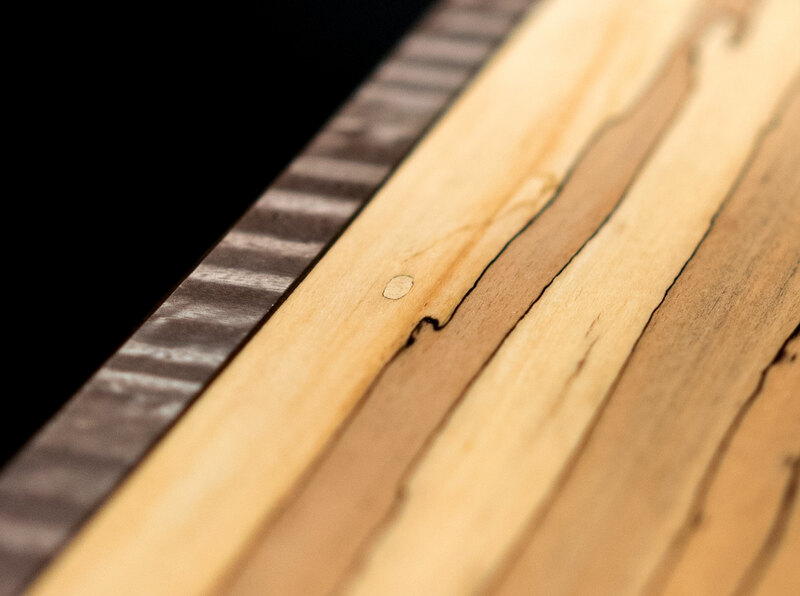 Set into Spalted Beech, the helix is framed in Silver Eucalyptus for a contemporary and stylish piece. 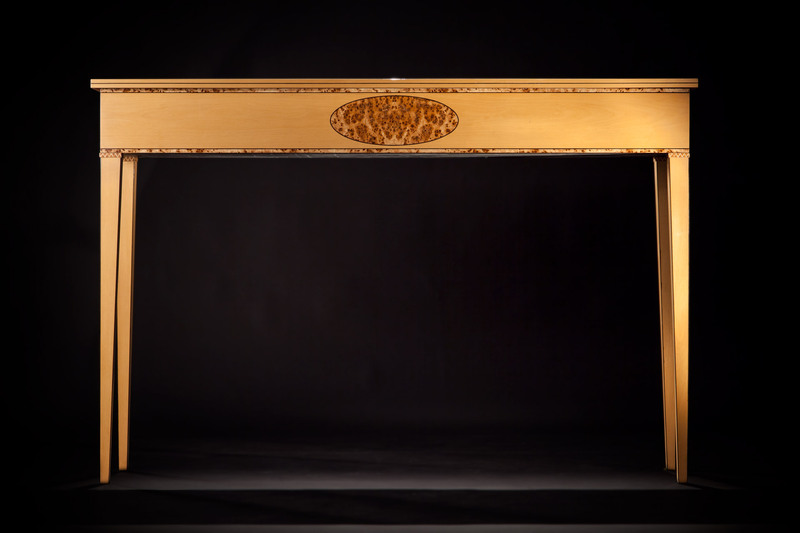 Slim, yet perfectly proportioned, these vibrant tables have a sense of fun. 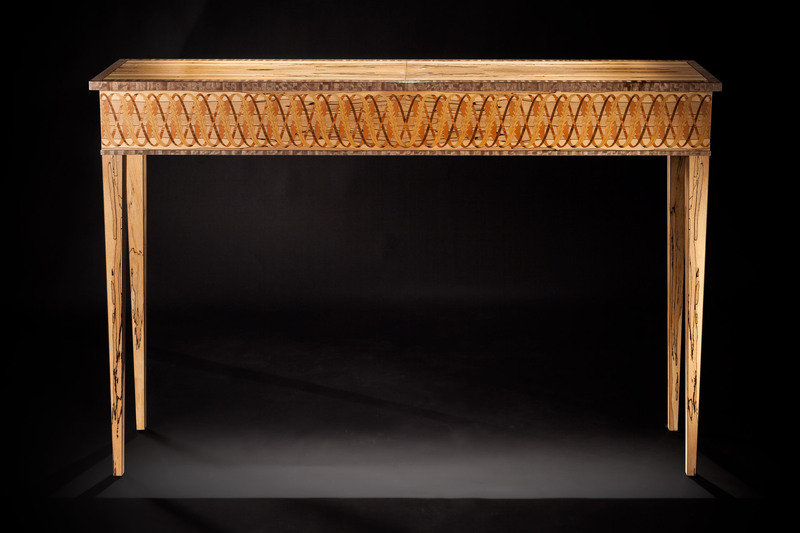 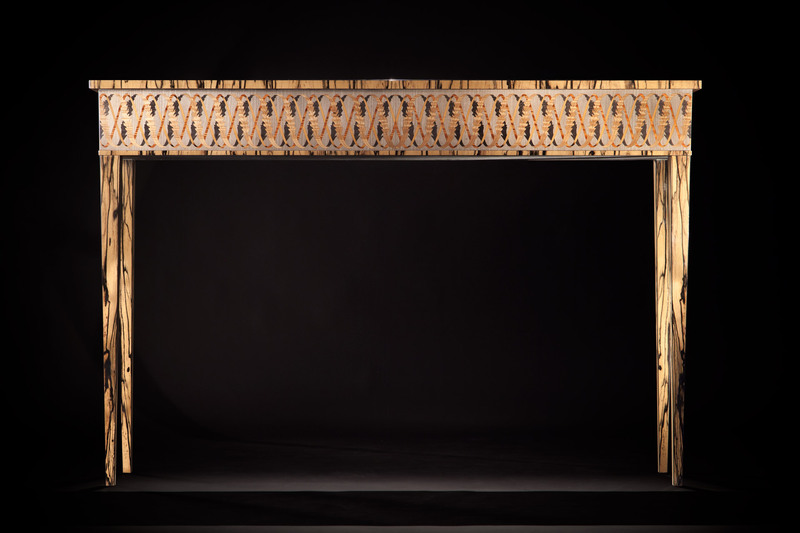 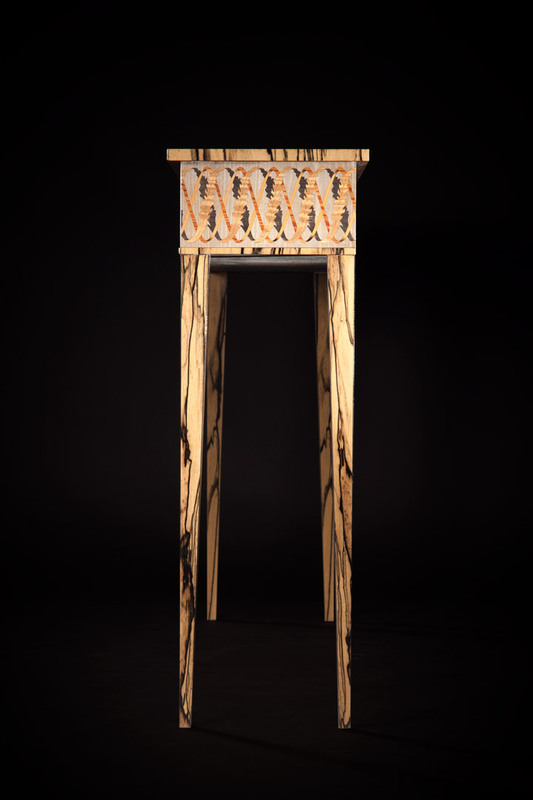 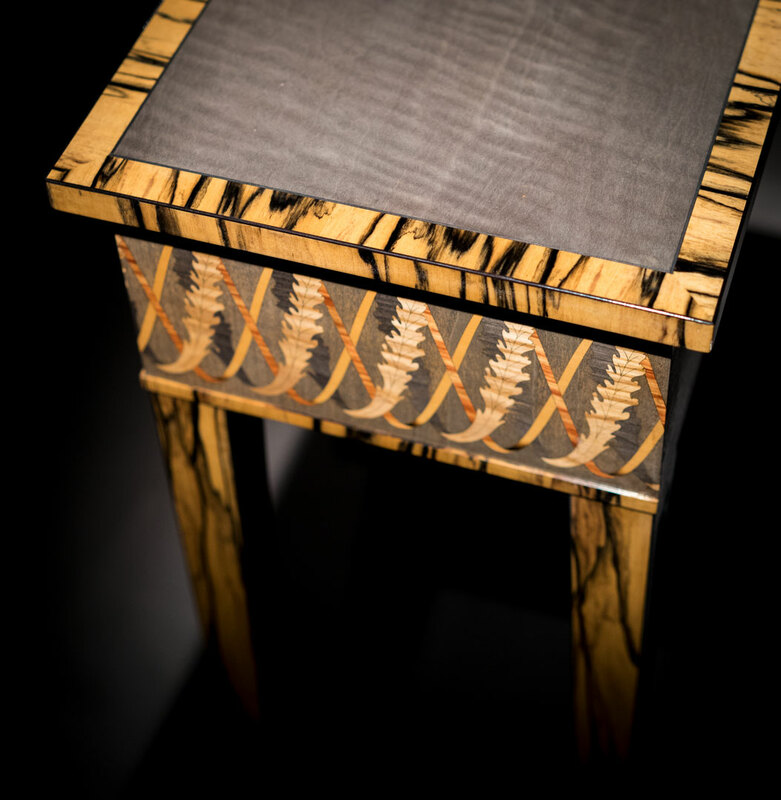 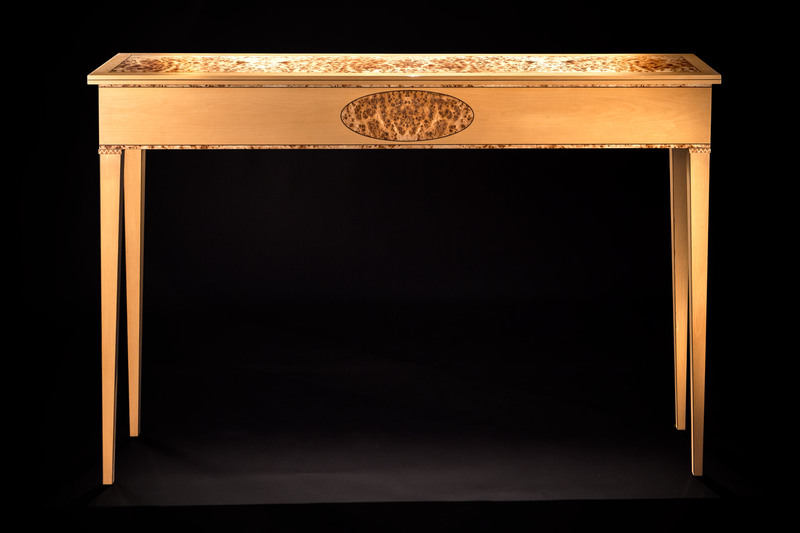 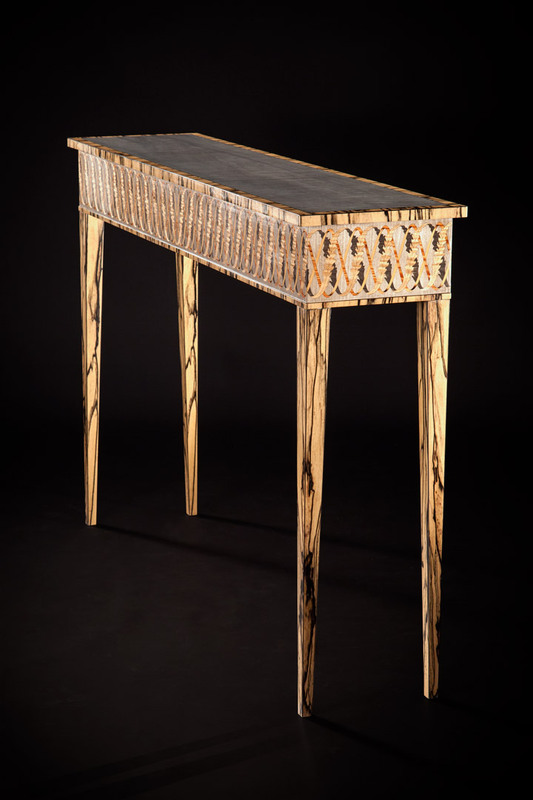 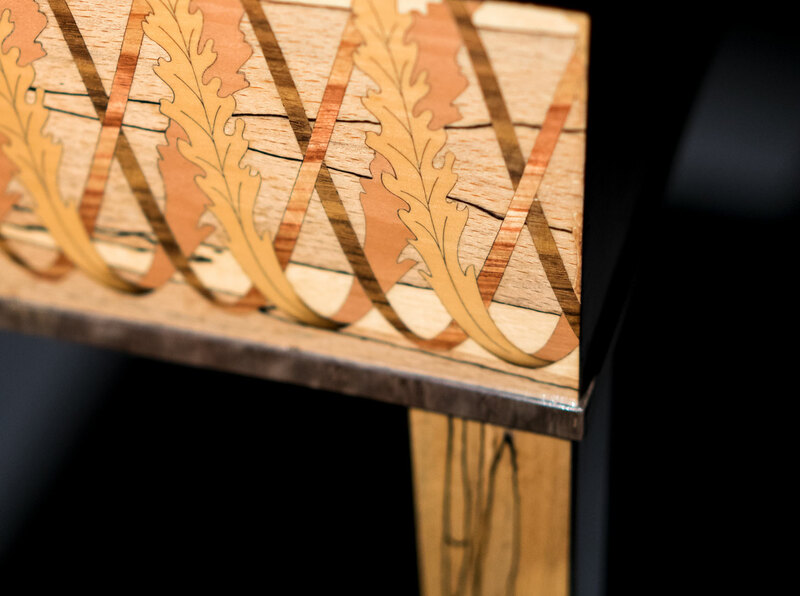 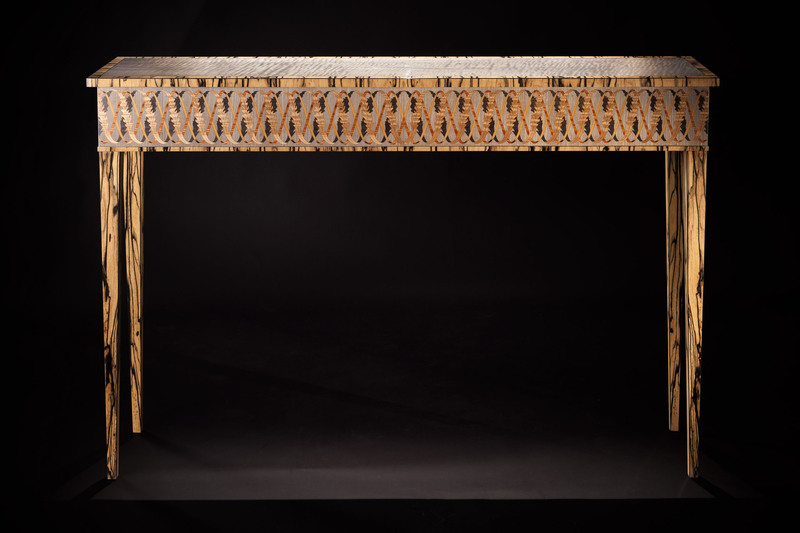 Raised on White Ebony veneered legs the frieze helix is inlaid with Ash, Tulip and Boxwood. 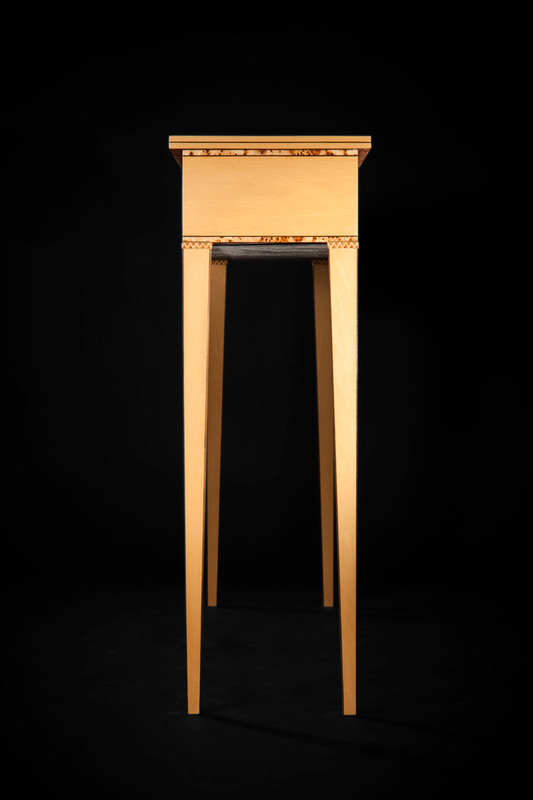 Italian Sycamore supports the helix and is framed on the top by White Ebony. 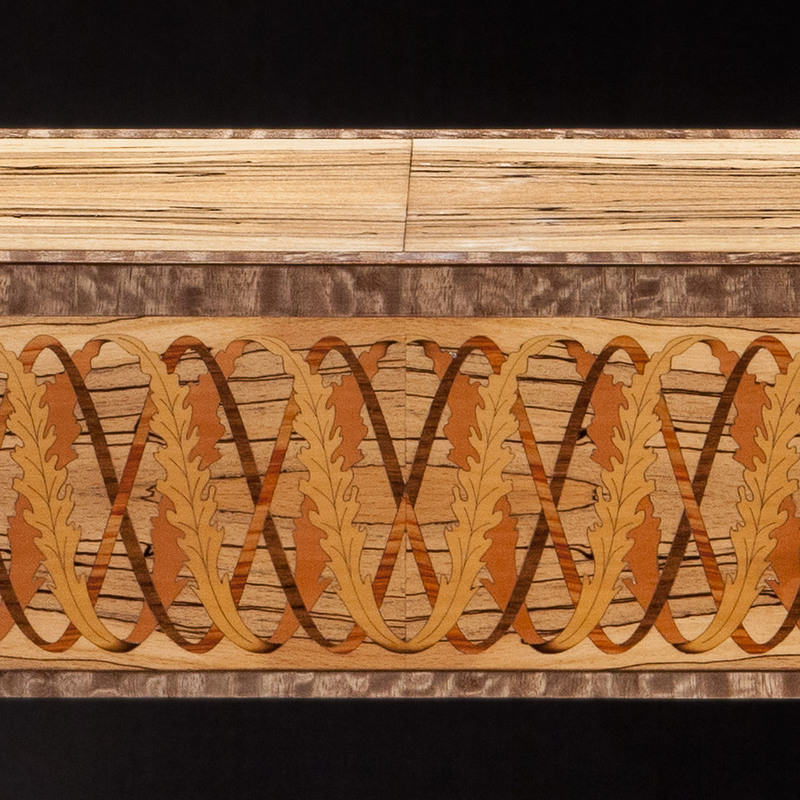 Oval panels of Burr are encased in Boxwood and inlaid with Ironwood stringing. 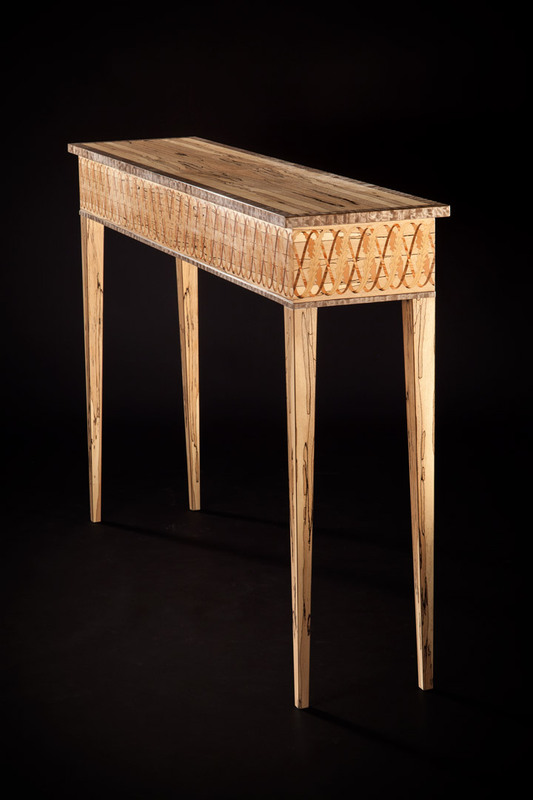 This is an unusual timber. 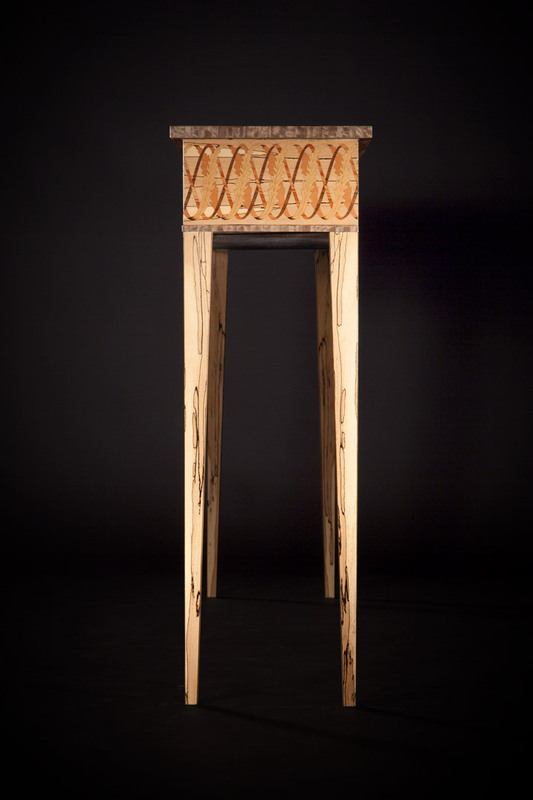 A fungi is intentionally introduced into the Beech tree and many years later the resulting figuring occurs. 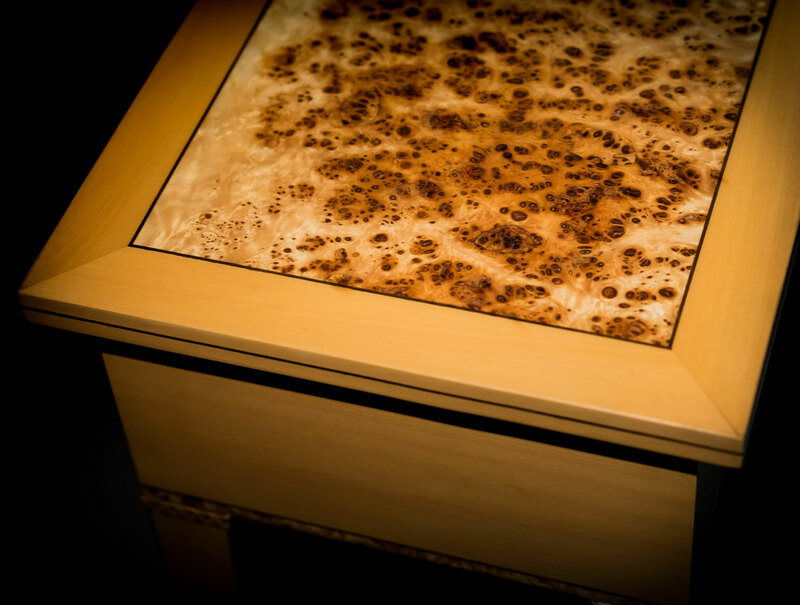 Here the helix is set into the Spalted Beech. 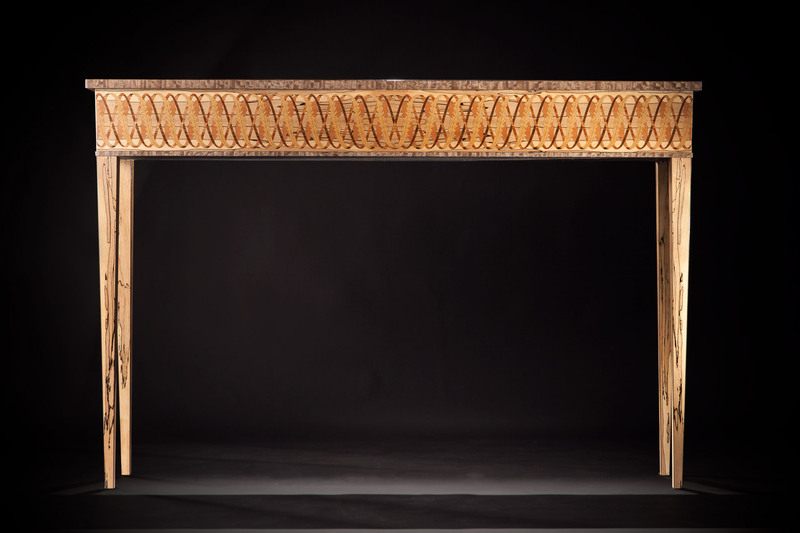 Eucalyptus frames the top and makes the moulding.